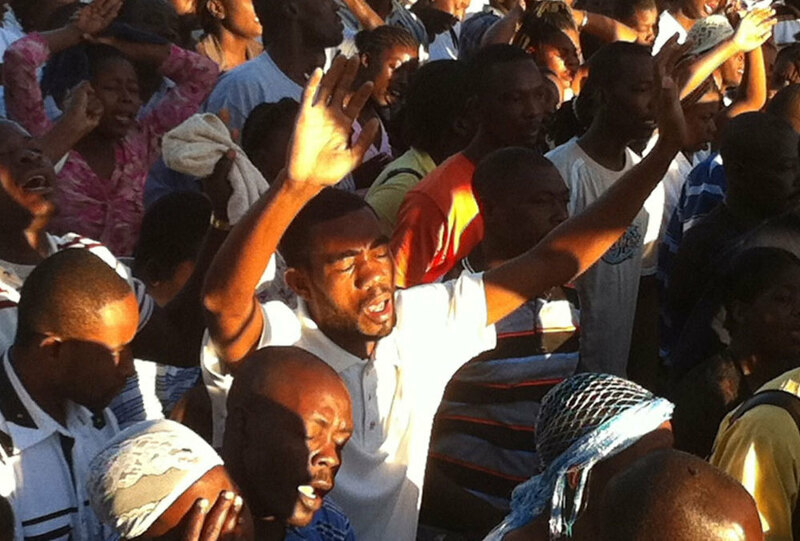 One Year After The Earthquake, Haiti Still Struggles To Cope : The Two-Way Prayers were raised in Port-au-Prince today. Haitians face enormous challenges: More than 1 million, for example, still live in tents and makeshift shelters. One year ago today, just before 5:30 p.m. ET, the news broke: a devastatingly strong earthquake had rocked Haiti. Hundreds of thousands of lives would be lost. The almost unimaginable tragedy would unfold over the hours, days and weeks after -- and spark an outpouring of aid from the U.S. and elsewhere the continues. But as All Things Considered will report later today, though the world has responded strongly to Haiti's enormous needs, "the anniversary comes as the country is still struggling to cope with the quake. More than 1 million people remain in tents and makeshift shelters. A cholera outbreak that’s claimed almost 4,000 lives continues to rage throughout the country. November’s presidential election collapsed into chaos amid accusations of massive fraud at the polls." Haitians prayed today on the one-year anniversary of the earthquake that devastated Port-au-Prince and nearby communities. There's much more on NPR.org about Haiti, one-year-later, including an audio-interactive package, and many more of David's photos that document how things have -- and have not -- changed in the past 12 months.